John Hart was a miller and public servant at the outset of the American Revolution. Already an older man when troubles began he was a respected citizen of New Jersey. When his State formed a Provincial Congress, Hart was important enough to serve as the first Vice President. He sat on the New Jersey Committee of Safety as well as the Committee of Correspondence. When the famous vote for the Declaration of Independence was approaching, many States whose delegate were going to vote no were recalled. They were replaced with representatives who favored separation. John Hart was sent as one of these representatives. 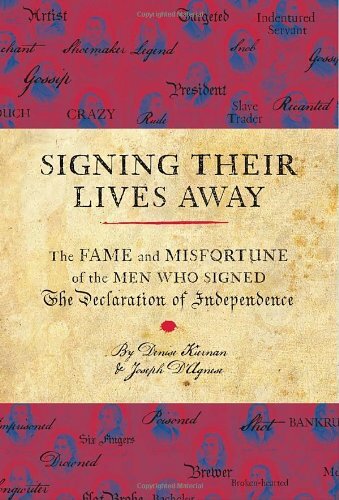 He voted for, and later signed, the Declaration of Independence. Hart returned to New Jersey where he was chosen Speaker of the General Assembly. He served on several important committees which were responsible for assisting in the war effort. In December 1776, the British moved through New Jersey. John Hart, now a wanted man, fled to the hills where he took refuge in a cave! Fortunately, this did not last long. Shortly after, General Washington crossed the Delaware and retook Trenton, removing the British from the area. A year and a half later, Hart would return the favor by letting Washington use his land as a camp for over 12,000 soldiers. Shortly after, John Hart would pass away from what was then called ‘gravel.’ We know it now as kidney stones. Unfortunately, he would not see the end of the war and the beginning of the nation he gave so much to create. Modern biographies of John Hart are hard to come buy. 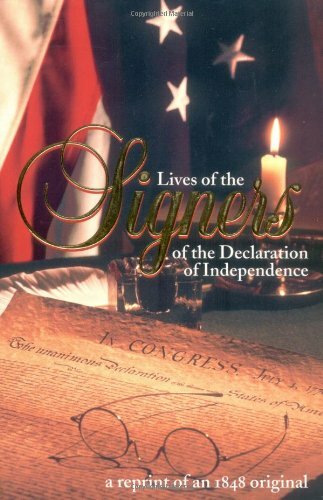 These books from our affiliate are easy to read and cover all the signers of the Declaration of Independence.